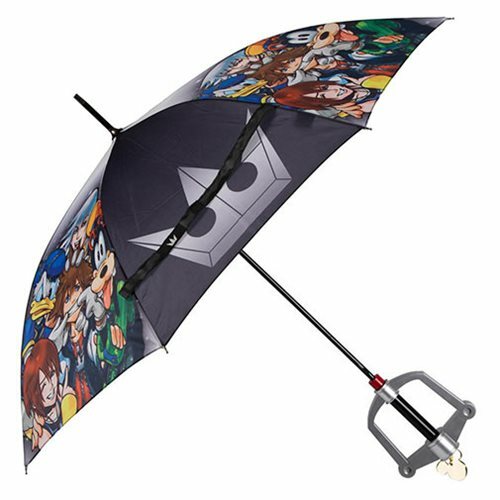 Be ready for inclement weather with this Kingdom Hearts Keyblade Handle Umbrella. 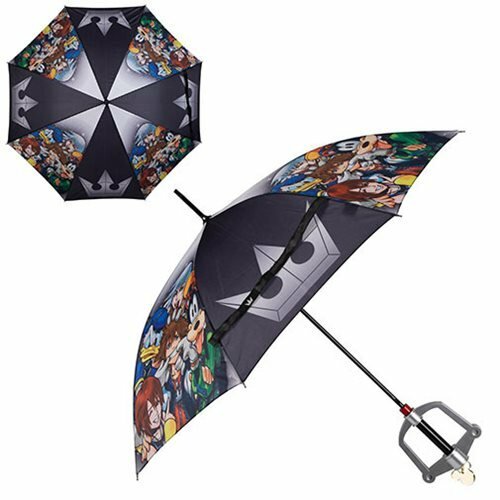 The panels alternate between images of the Kingdom Hearts characters and the logo. 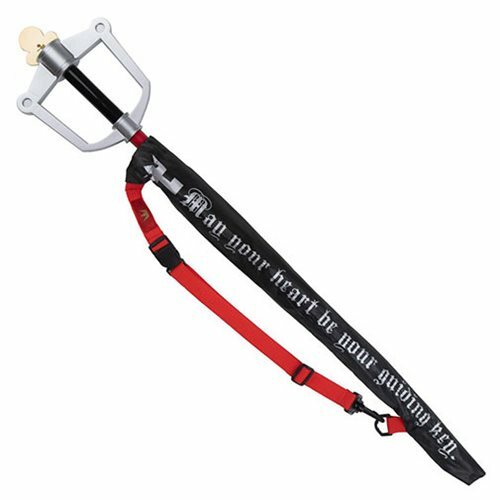 The handle is molded after a key blade handle. 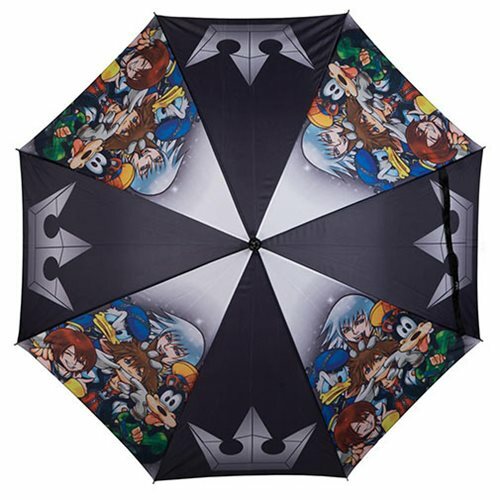 When open, the canopy measures approximately 36-inches wide. Includes a sleeve for the closed position.